The interesting and frustrating thing about being the lead (by which I mean sole) artist on a project is the responsibility for creating lore-applicable imagery on the fly. I’ve just been finishing up some artwork to be used for promotion, and it called for some kind of alien writing. Yet it has to be recognisable *as* writing and not seem like a picture or something. I like things that seem familiar yet aren’t- misleading in a playful way. 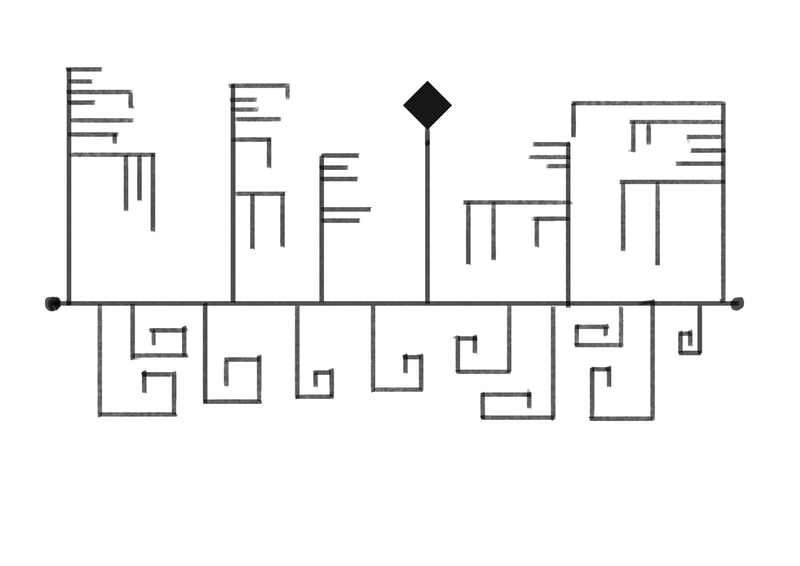 So I sketched out some eldritch hieroglyphs until I liked what I was looking at. The following image was then used as a basis for a much larger element of the finished artwork. Doesn’t look much I know, but it require thinking about the concepts from a different perspective. After Lotus Point 008: visual progress. After Lotus Point #005 User Interfaces. After Lotus Point #004 : oooh pretty!